Whether your project is new construction or re-roofing, residential roofing or commercial roofing, you'll find our high standards of workmanship and customer service continue to place us at the forefront of the roofing industry. With the knowledge of our highly experienced management team behind you, you can be confident that the roofing product you choose is right for you. Our services in Kelowna Okanagan include asphalt new builds and re-roofing, torch-on flat roofing, metal roofing & custom metal shop and tile roofing for residential and commercial buildings throughout the Okanagan BC. Not everyone has the same needs when it comes to re-roofing. We understand that here, and that is why our Best Quality Roof Contractors offer a variety of roofing services which you can check out below! NATS Nursery is proud to be a licensed grower of the LiveRoof modular green roof system. LiveRoof is your natural choice if you are looking for green roof that: – provides instant impact and immediate enjoyment – requires minimal maintenance – provides the coverage and beauty of a plant in place system with the convenience of a modular system We believe LiveRoof to be the best modular green roof system on the market! 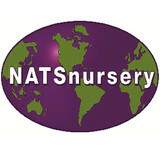 NATS Nursery also offers a LiveRoof Installer Qualification day program. We run certification workshops throughout the year based on demand. Selles Roofing is one of the top roofing companies in the South Okanagan. With over 15 years experience as a ticketed journeyman roofer our dedication to detail is second to none. Our crews take pride in their cleanliness and positive polite attitude on the roof. Re roof your house or commercial building with the piece of mind that the company that installed it cared about how it was done. Take comfort in the fact we guarantee our work and will continue our relationship with you for any of your future roofing needs. TomTar Roofing & Sheet Metal, the interior of BC’s industry leader, is the most trusted name for providing commercial, industrial, institutional, and high-end residential building envelope services. TomTar’s extremely knowledgeable office combined with its highly skilled certified tradesmen ensure a level of performance unmatched by others in the area. Serving the BC Interior and Western Canada, there is no project too large or complex for their highly skilled team. We are a Kelowna gutters company offering services for new eavestrough installation, gutter replacement and gutter cleaning. In addition our siding installation specialists in Kelowna can install or replace you vinyl or hardiplank siding. Whatever your home exteriors needs are, Gut R Dun Exteriors Kelowna can help you. Servicing Kelowna, West Kelowna, Lake Country and Peachland. Okanagan Construction companies rely on dependable service from expert tradesmen to accomplish their projects. As a service provider to the roofing industry, KC's Contracting & Custom Torchworks is responsible for a myriad of specialized services for many of the Okanagan's largest contractors. Over twenty years of general contracting experience, coupled with exceptional management and an unparalleled passion for the job has fueled the success behind KC's Contracting. A long list of success stories, references and satisfied customers rest behind a Kelowna contracting company that few can compare to. Servicing both Residential and Commercial projects means offering the full range of roofing solutions and systems, including but not limited to metal roofing systems, Thermo Plastic Overlays, Torch-On products, and a complete range of asphalt laminate shingles. By maintaining high standards in safety, workmanship and products, the clientele we service continue to trust our name and keep it synonymous with successful, long lasting accomplishments. KC's Contracting & Custom Torchworks holds an A+ Rating with the Better Business Bureau Recognized for their continued success, KC's Contracting & Custom Torchworks proudly holds an A+ rating with the Better Business Bureau for unquestionable customer service, high quality products and an expert team of professionals providing roofing services throughout British Columbia. KC's Contracting believes that adhering to standard business practices is an important facet of remaining an established, successful and respected provider of roofing services in the Okanagan Valley. At Ryder Roofing Ltd, we take pride in our work and have done so for over 20 years. 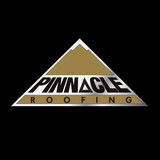 Our certified roofers are fully insured and are ready to tackle any commercial or residential roofing system. We pride ourselves on providing prompt service and professional work at an honest price. We are a longstanding member of the Better Business Bureau. We stand behind out work with labour warranties as well. While Ryder Roofing Ltd has been serving the Okanagan Valley since 1992, we have over 40 years of roofing experience. Our team specializes in flat roofs, shingles, torch on and metal roof systems including standing seam. 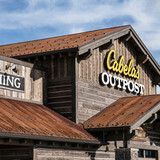 We also perform custom sheet metal work. Call us for your free estimate today and ask about our seniors' discount. What do roofing companies in Summerland, BC do? 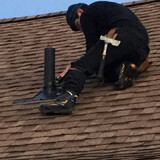 Your Summerland, BC roofing contractor can install a new roof or repair an old one, as well as repair and replace gutters. Good roofers in Summerland, BC should be able to promptly inspect roofs and gutters to assess damage after a natural disaster or other event, and give you an estimate for the necessary roof repair immediately. Some Summerland roofing companies specialize in specific types of roofs, such as tile or metal, so make sure the one you are interested in works with the materials you have or desire. Find a Summerland roofer on Houzz. Narrow your search in the Professionals section of the website to roofing companies in Summerland, BC. If you’re planning a large-scale project, find other professionals on Houzz who can help get the job done. Here are some related professionals and vendors to complement the work of roofing & gutters: General Contractors, Specialty Contractors, Siding & Exteriors, Door Sales & Installation, Garage Door Sales & Installation.